Nicknamed the “Jewel City” Glendale CA is among the most sought our areas to reside within Los Angeles County. As of the 2010 Census, the city population is 191,719 and is known for its high quality of life. Glendale lies at the eastern end of the San Fernando Valley, bisected by the Verdugo Mountains, and is a suburb in the Greater Los Angeles Area. The city is bordered to the northwest by the Sun Valley and Tujunga neighborhood of Los Angeles; to the northeast by La Cañada Flintridge and the unincorporated area of La Cresenta; to the west by Burbank and Griffith Park; to the ease by Eagle Rock and Pasadena; to the south by the Atwater Village Neighborhood of Los Angeles; and to the southeast by Glassel Park Neighborhood of Los Angeles. The Golden State, Ventura, Glendale, and Foothill freeways run through the city. 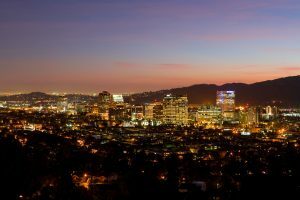 If you are looking for a Top Glendale REALTOR®, choose Edwin Ordubegian! As your Glendale real estate agent, Edwin Ordubegian can assist you with all of your home buying and selling needs. We can provide you with access to the local listings database and offer our experience and top knowledge to make the home buying or selling process easier for you and your family. Contact Edwin Ordubegian today to get your home search started and make Real Estate Fun, East and Profitable.